We have been living in the bay area for almost 6 months now… crazy how time flies! In the months since we have been here, we have been busy getting settled. After several months of the grind, we finally got a chance to get away to Hawaii for our 5 year anniversary and my wife’s bday. One of the advantages of living in the west coast is that 5 hours later, we can plop down at a gorgeous beach like we did at Waikiki. While I really have not spent much time at all in the last 6 months on photography, I had to get a sunrise shoot squeezed into our relaxing time on Oahu. This is my take on the sunrise from Lanai Lookout, just near Hanauma Bay. 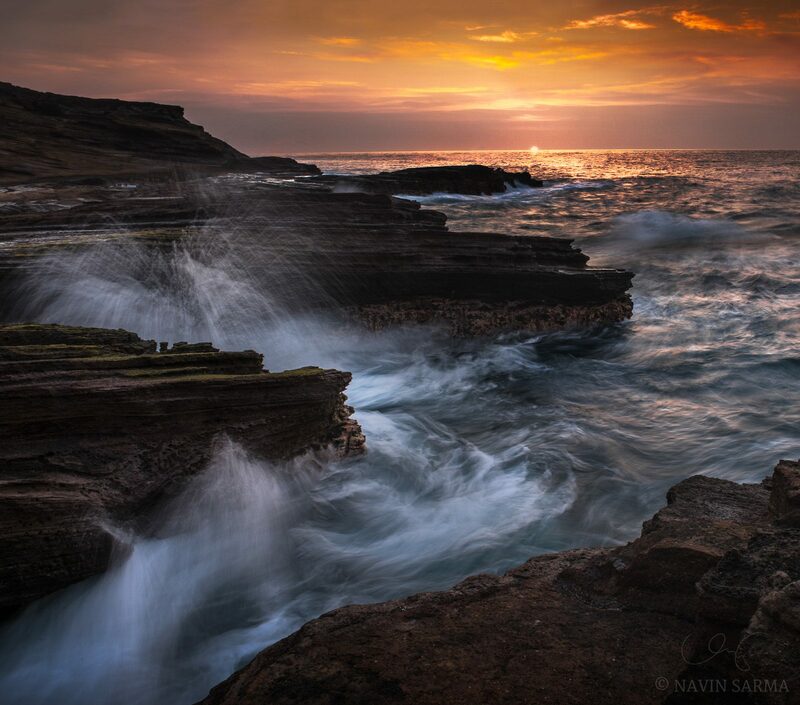 The sun rose through the haze and highlighted sparkles through the crashing water coming to the lava rock shores. I hope that in the coming months I can spend more time exploring California through photography. But for this vacation, it was nice to just get back in the swing of things.